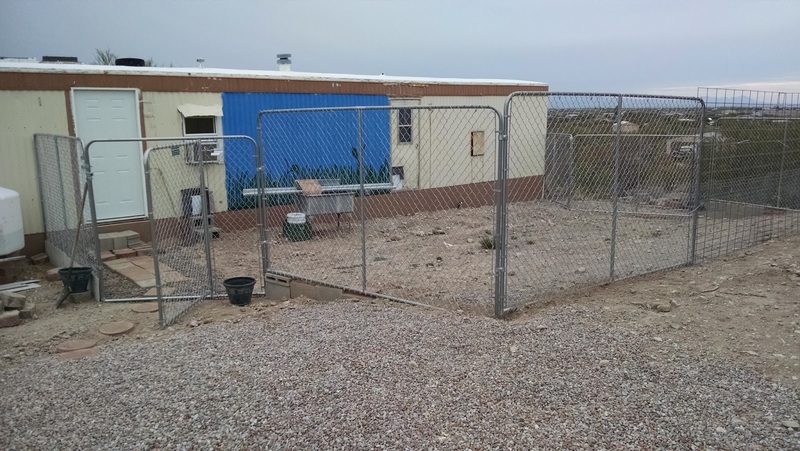 The fence is up! Not complete, but it will keep the dogs in. 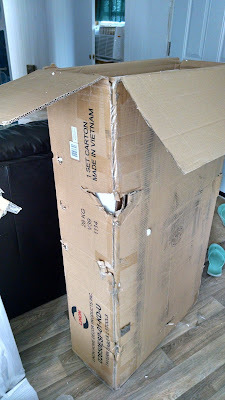 But first, my table and 2 stools arrived just in time. Unfortunately, the box looked like this. And the table inside looked like this. Now I have another chore, calling the customer service number to see if they can do anything for me. Here is my front door area. My niece made a little path for me. The steps are still temporary concrete blocks since I ran out of time. The hardware cloth is not finished yet. 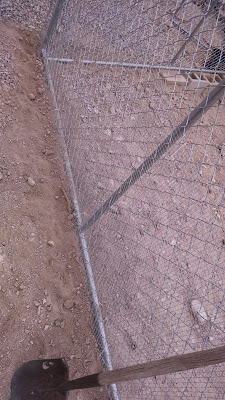 I started burying the mesh on the easy side of the fence that is not on a slant. I hope no snakes come around on Friday when I bring the dogs out but then, I have fenced out the snake food (pack rats) with the concrete skirting. Here is a picture so you can see the relationship between the mobile home and the barn shed. After I get the tie-downs completed and inspected, I can extend the fence to meet with the barn shed. My niece was working on a mural for the mobile home but I don't know if she is going to have time to add the flowers. Someday I hope to replace the metal siding with hardi-plank cement siding. 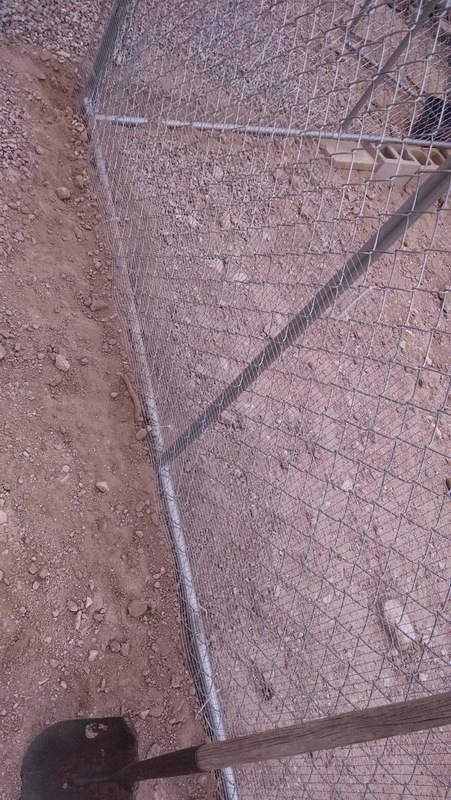 Here is another view of the fence. 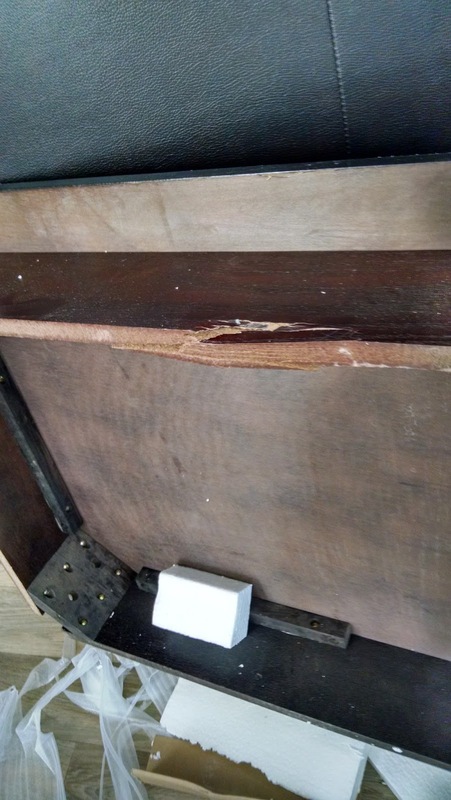 There is a gap on the right side of the photo. 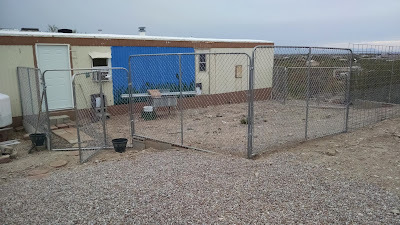 I used cattle panels as temporary fencing since they are cheap and sturdy. 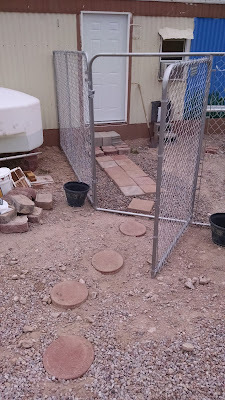 3 feet of hardware cloth will keep the dogs in and other things out. I have shade cloth to put up for shade, obviously, and so that flying predators won't be able to see the small dogs as easily. 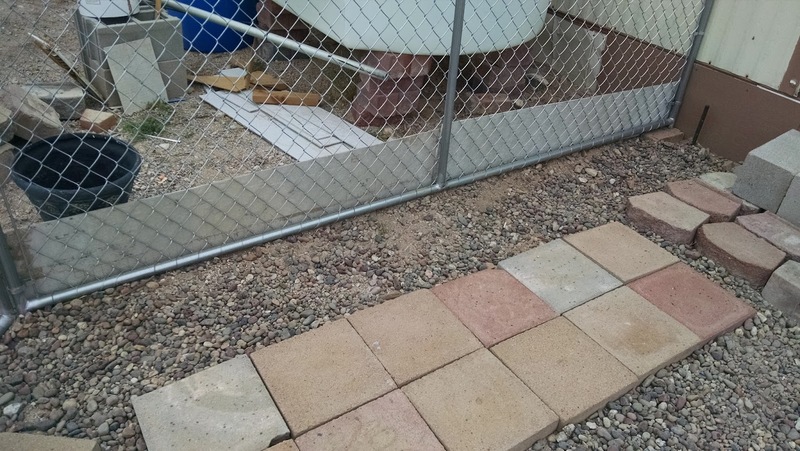 As another temporary measure, I grabbed two extra concrete panel scraps and propped them up against the fence on the side that is most likely to harbor snakes. The water tank, old metal skirting, and construction materials are on this side which provide hiding places for rats and snakes. I'll be cleaning things up as I finish my projects. Sadly, I didn't have any time for the bathroom. 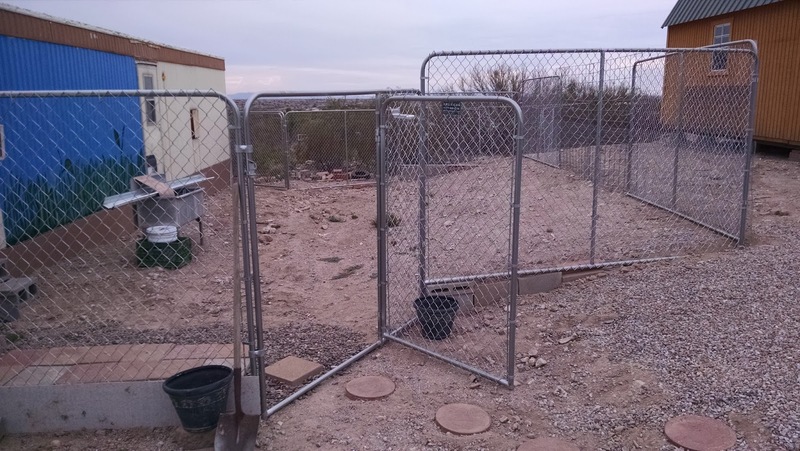 I plan to get the sink drain hooked up next but finishing the fence is also a high priority because I will be worried about the dogs while I am at work if the fence isn't, how should I describe it, snake-repellant? School starts Friday so we are moving in whether we are ready or not. The adventure continues! Fence looks great. Hope the snakes stay away. Thanks! So far I have been lucky. My fence is far from finished.